Comikaze Expo at the Los Angeles Convention Center was back for the second year. 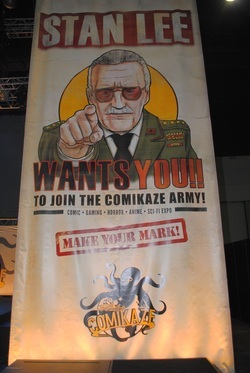 This year the Expo had expanded and a Comikaze added a new business partner, hence the name change, Stan Lee's Comikaze Expo. The event drew a larger crowd compared to last year. Lots of cosplayers and fans turned out to enjoy two days surrounded by their favorite pop culture, comic book artists, television and movie stars, creator, something for everyone's liking.